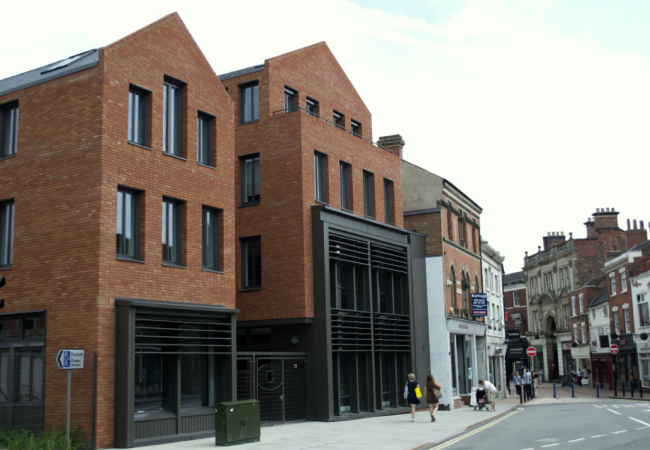 Derby City Council wanted to create an enterprise centre in the city’s Cathedral Quarter, to provide space for start-up and small businesses in the city. The centre is the first phase in the wider SadlerSquare development, which aims to regenerate this part of the city. Adept were appointed as the civil and structural engineers on the project, working on the initial design stages with the architectand later being appointed by the contractor during the construction phase. The proposed scheme was for office use and consisted of a 4 storey building and a 3 storey annex. The buildings are linked by a raised walkway and together, the buildings create 1800 square metres of space, split into 34 offices, for small businesses in the city. Initially appointed to the design stage of the process, Adept worked extensively with the Bauman Lyons team, building on an already successful working relationship. 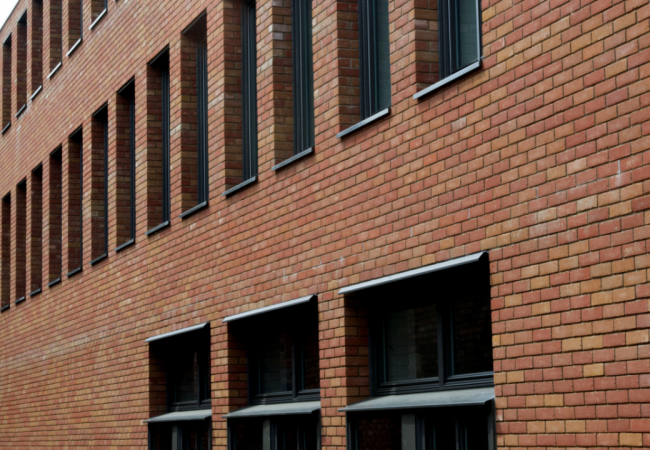 The Adept team developed solutions for the foundations, the superstructure and the drainage for the development and was subsequently appointed by the contractor for the duration of the build. The build began in the summer of 2013 and completed on time and on budget in spring 2014. 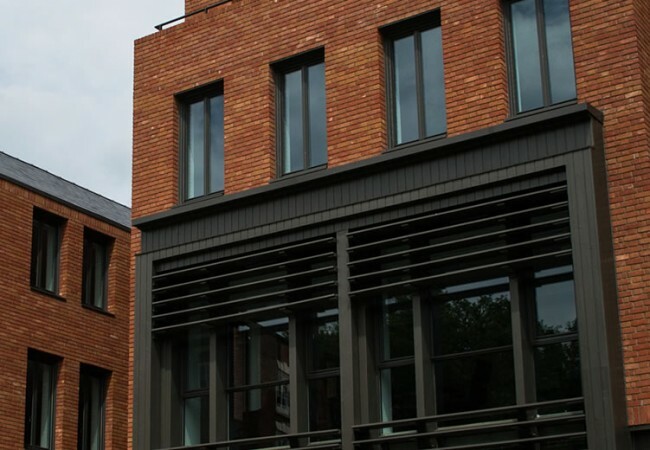 Adept had to overcome the constraints of the site and designed solutions to ensure building work would not have a detrimental effect on neighbouring structures. The structural systems designed by Adept included ensuring the stability of the distinct duo-pitched roofs, incorporating wind bracing and a combination of timber rafters, steel eaves, purlin and ridge frames and designing the steel required across the whole building. Working with the architect, Adept was able to provide a solution to satisfy the design vision, which featured exposed soffits withnow down stands throughout. This required long span shallow beams embedded in the floor structure. Additionally, Adept was able to accommodate specific requests, such as minimising vertical bracing on the building. Working to –and meeting – tight deadlines throughout the project, Adept was able to provide a creative and practical solution which went well beyond expectations and minimised the challenges faced by the contractor in the build of the Enterprise Centre.